Voice Changer Software Diamond 9 (VCSD9) is an effective software tool for almost any voice changing tasks. It features an advanced Voice Morpher module, which lets you control your Timbre and Pitch levels in real time. But if you don't want to spend too much time on trying different morphing settings to get the target voice, Nickvoice concept of VCSD9 will definitely be your favorite. Nickvoices are preset voice output available for instant use. These are designed based on several popular target voices that people prefer to use for their morphing processes. With a huge library of 50 ready-to-use nickvoices, including Male to female, Female to male, and nickvoices for movie-making purposes, all users can save lots of time morphing. All you need to do now is just click-and-talk! This tutorial will guide you on how to use these unique nickvoices in changing voice. Same article: Change Voice in One-Click Using Unique "Nickvoices"
On the main panel >> click on Nickvoice menu (1). 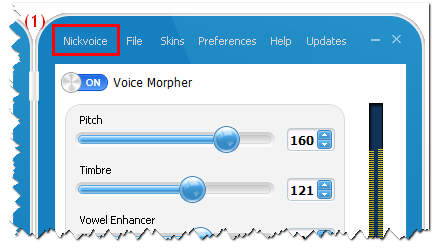 After you click to select a nickvoice, all morphing effects will be automatically applied to Voice Morpher feature. Speak to your microphone to hear how the output voice sounds. In addition to the available nickvoices, you also have unlimited options for creating new customizable nickvoices on your own. Here is how it works! The nickvoice file (.nvc) has been safely stored in your computer. For instant use, visit our Add-on Store to download nickvoice packs from games and movies. Once you open your customizable nickvoice, it will be immediately loaded into the Voice Morpher's Timbre and Pitch sliders, you can use it right away in online voice chat. Today's tutorial will instruct you on how to modify multiple pre-recorded files using the unique File Morpher feature from Voice Changer Software Diamond 9.5 (VCSD 9.5). 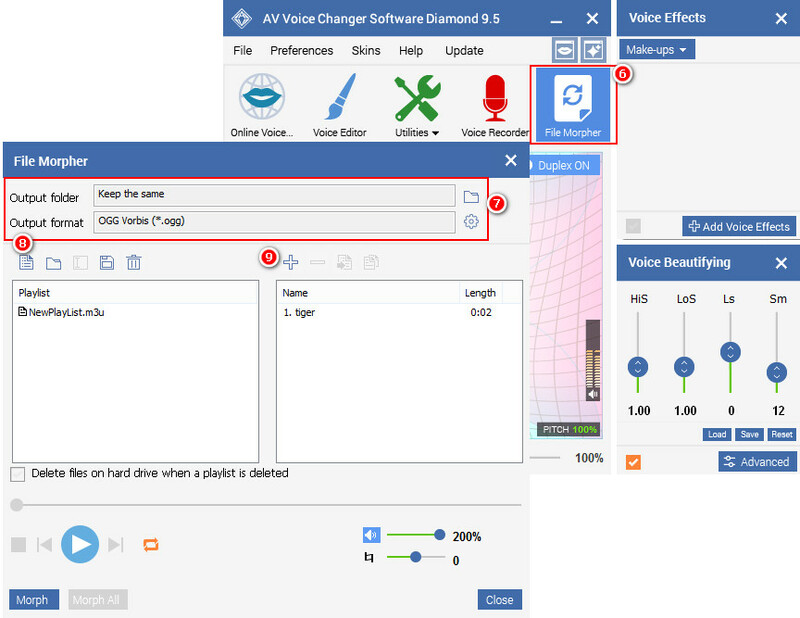 This is an advanced feature available only in the Diamond edition of our Voice Changer Software series that helps users with morphing pre-recorded audio files and then exporting them into different formats. 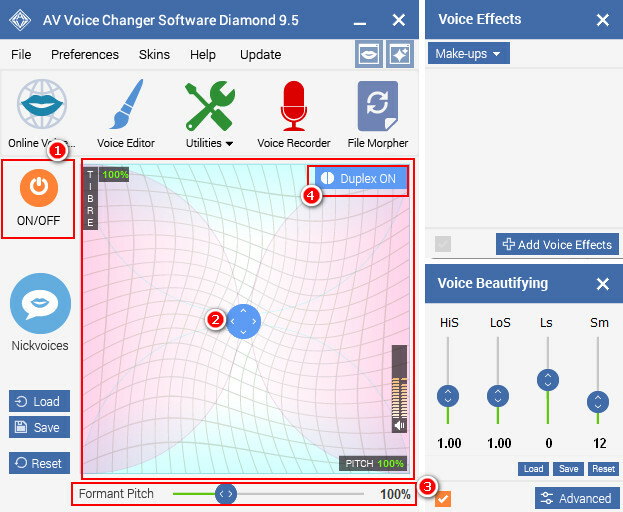 This feature demonstrates that Voice Changer Software Diamond is the perfect choice not only for online voice communicating, but also for most offline voice changing purposes. Download VCSD 9.5 now to use this cool feature for any of your audio projects! 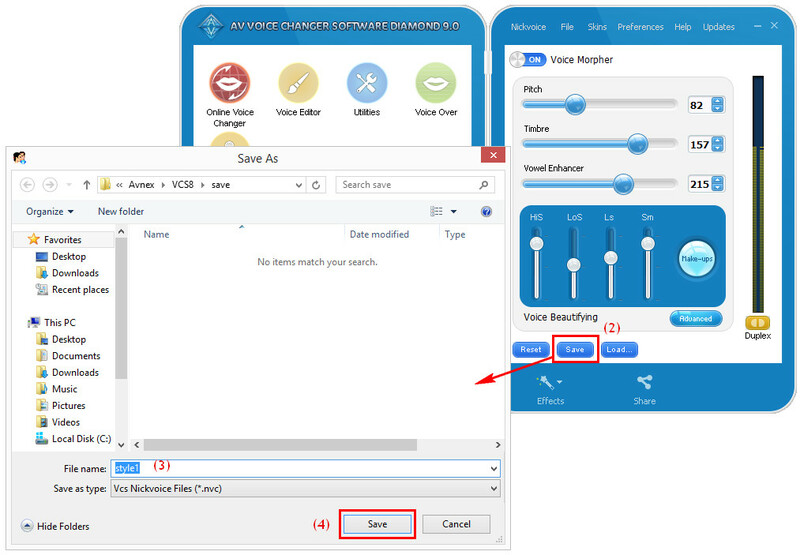 Run VCSD9 >> Turn on Voice Morpher (1) feature to modify the most important voice parameters - Timbre and Pitch (2) >> adjust Formant Pitch (3) to enhance your voice output as well. Turn on Duplex (4) to test how your voice sound like. Alternatively, you can select ready-to-use Nickvoices (5) to achieve your target voice quickly. - On main panel >> click on File Morpher button (6). - When File Morpher window appears, change Output folder and Output Format (7) as you wish. 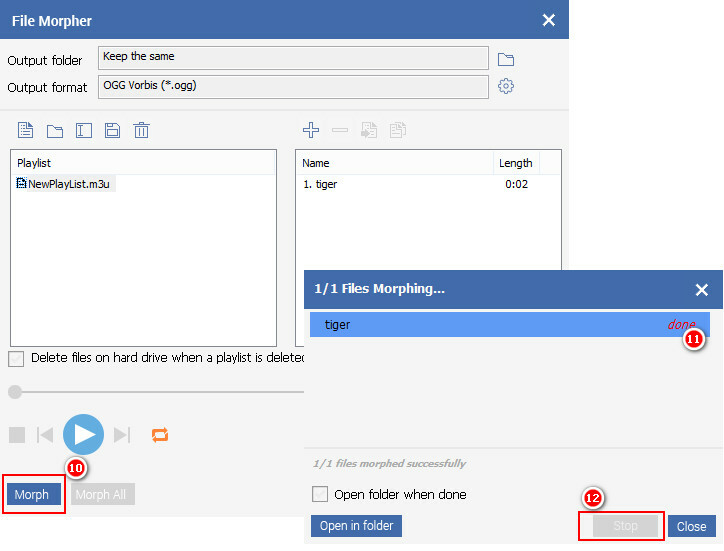 - Click + button (9) to add multiple pre-recorded files you want to manipulate with the effects morphed from Step 1 above. During morphing process, you can see how the whole process is going (11). You also can stop it at anytime you want buy clicking Stop button (12). Now, you can go to the output folder selected above and check out all the files that have been morphed with the effects chosen. Ever thought of speaking like your favorite superstars? A few vocal practices will do, but it takes time. 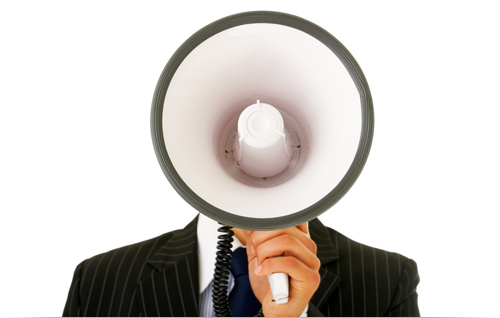 So, why don't you try it out with a friendly program like voice changer software - quick and effective! No doubt! Voice changer is the quickest way for you to change and do magic with your real voice. 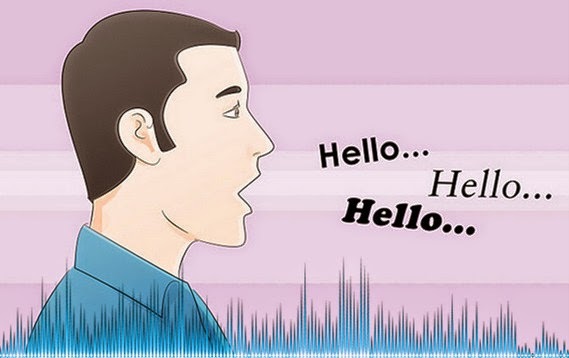 Its top-notch voice morphing technology can manipulate your timbre and pitch levels in real time, no matter which instant messaging applications you use. While other voice changers may take you hours to get the voice you want, this program make it simpler for all users by offering up to 50 unique "nickvoices" for quick use. They're the preset samples of popular target voices, such as male to female, female to male, X-men, ghost, alien, terminator, animals, robots, etc. All you need to do is "click and speak"! After changing your voice, it's significant that you should make the fake voice sound natural so that no one can ever recognize it. That's why voice changer software provides users a rich library of vivid background and audio effects. Just one click away and you will see the difference. 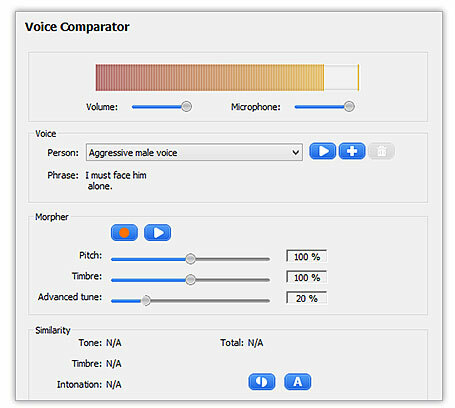 Voice Comparator is one of the most outstanding features in voice changer software. Everyone can test how similar their voice sound compared with a specific celebrity. This feature will show you the best suggestions to make you sound exactly like him/her. Now, singing like your idols is just a piece of cake, right?! What are you waiting for? Explore this voice changer now and see which of these simple ways is the best match for you. 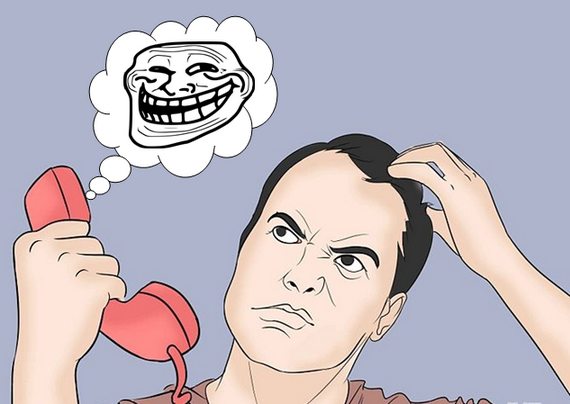 Voice changer software has become familiar with many internet pranksters, or audiophiles. With this program, users can do a wide range of audio projects like placing prank calls, changing their singing voice, recording voice mails, making e-greeting cards, and so much more. Besides, anyone interested in professional movie-making projects, also shouldn't miss voice changer since it can help you easily do voice-over and voice dubbing steps by imitating famous celebrities' voices. Let's find out one of voice changer's biggest key for making natural voice, no matter you're playing around on the internet, or just doing offline audio tasks. 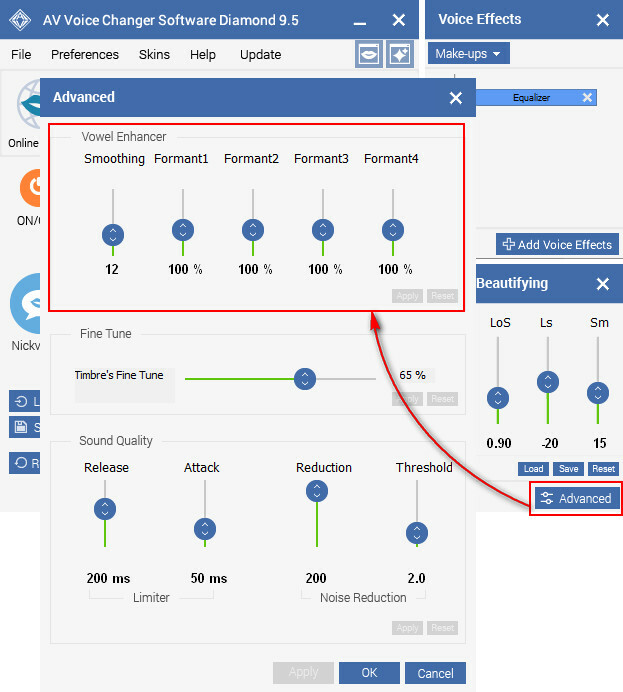 When we talk about changing voice naturally, it's gotta be the advanced Vowel Enhancer, which offers users an direct access to adjust the natural quality of a voice output. Once you run voice changer software, Vowel Enhancer is just one-click away on the main panel, including Formant sliders and Smooth parameters with a super friendly interface. While Formant sliders help you add realistic emotional tones to speech, Smooth makes the output voice retain its natural sound. These two have been greatly improve with a top-notch audio morphing technology, so every single change on each slider will lead to a brand new voice that you can hear instantly through your headphones. 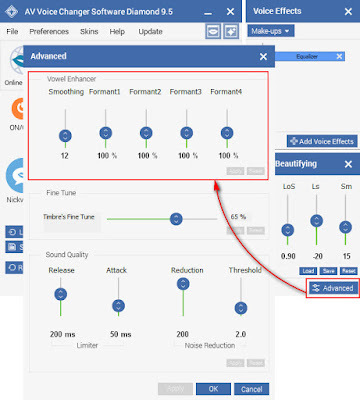 Bottom line, with such important improvements, voice changer software has brought a leading voice morphing solution to all audiophiles: significantly reducing the complexity of finding the best settings that works, and greatly simplifying the modification process without sacrificing the fine tuning abilities. 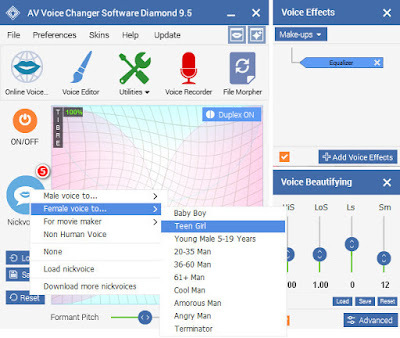 If you want to alter and create different voices to make voice-over and voice dubbing for audio/video clips, presentations, narrations, voice messages, voice mails, and more, I think AV Voice Changer Software is the best program which can help you to do it. Among its series, Diamond edition has the most advanced features and the ability to morph almost any audio files. With this voice changer in hand, you now have a full control on any voice manipulating processes, even the hardest ones. You can easily modify timbre and pitch levels high or low as you wish, and make the voice sound like an old woman, a teenage boy, a girl, robot voice, and even famous celebrities/movie characters (Morgan Freeman, president Barack Obama, villainous pirate, ...). The app also allows you to record sources online and through your computer and adjust the voices yourself. In addition, Voice Changer Software Diamond also includes a huge list of special audio effects to make your audio files stand out and sound more natural - an important part that other software barely does. "I sound incredibly cool in online voice chats!" Voice changer software is compatible with most popular online chat applications, such as Skype, Yahoo, AOL, AIM, TeamSpeak, etc. The program also works well with many role playing games like World of Warcraft, EVE Online, Everquest, Counter-Strike, Battlefield 2, Steam Game Portal and many more. Download this effective real-time voice changer software for FREE today to turn you creative imaginations into humorous, unique prank calls ever. I'm sure that you and you friends will now have a great tip for unlimited fun while using voice chat applications.